The 3BY ampoule breaker is a fast, effective, low cost solution that fits all size ampoules, with safe disposal to eliminate injuries. Opening ampoules by hand exposes the user to a potential sharps injury. Snipping the neck of the ampoule is also not advisable as it may result in glass chips entering the patients’ blood vessels, clogging the blood passages and causing irreversible damage. 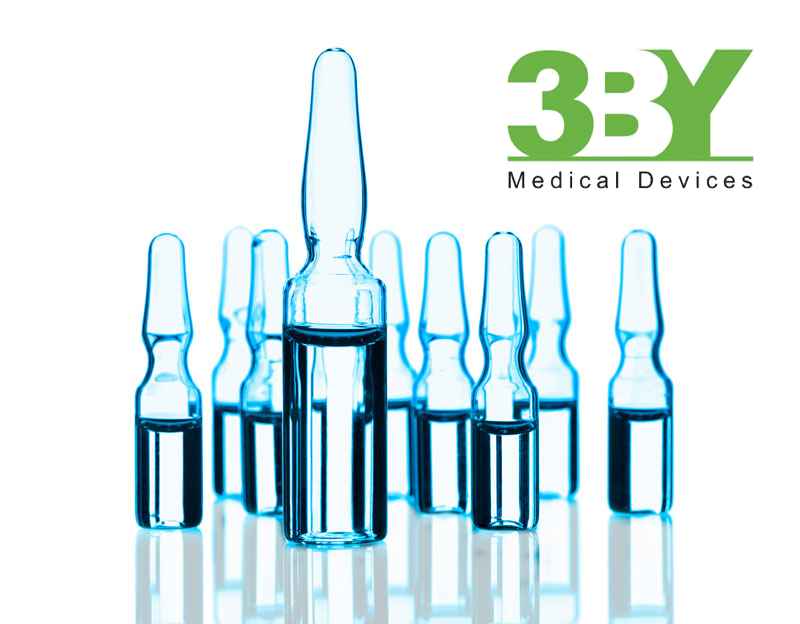 3BY has developed an innovative universal Ampoule Breaker that fits all sizes, eases the breakage of the cap and firmly grasps the cap for safe disposal. The unique Ampoule Breaker is suitable for both medical and cosmetic applications, ensuring safe handling at low cost.